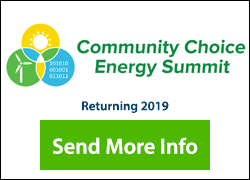 The Summit is the primary industry event where industry players come to stay abreast of the latest advances on the solar financing landscape. It also provides valuable insights into the ongoing developments in the industry, highlights upcoming strategic opportunities and explores the industry’s efforts to overcome pressing challenges. The Summit’s unique environment has led past attendees to rate it as the best solar event in the industry—“worth every minute of my time,” says one attendee. Get the latest information on the business development landscape and which markets will be offering up opportunities for growth. Get a comprehensive primer on the financing of and investing in solar power in today’s solar market. Get a comprehensive primer on solar power financing and investing in today’s market. Interested in Speaking at Solar Power Finance & Investment 2020? Interested in Sponsoring Solar Power Finance & Investment 2020? 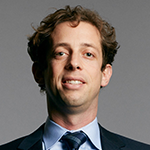 Akin Gump Strauss Hauer & Feld LLP has one of the world’s leading project finance and renewable energy practices. We represent developers, lenders, equity investors, manufacturers, technology companies and other sector participants in a broad array of energy and infrastructure projects, with a focus on the development, financing, operation, acquisition and disposition of renewable energy projects and renewable energy companies. Our team has significant experience across all renewable energy technologies, including wind, solar, geothermal, biomass, biofuel and hydroelectric projects and over the past year we have been lead counsel on the three largest renewable energy projects financed in the United States. 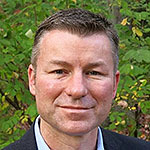 Altus Power America is a Greenwich, CT based private renewable energy company founded in 2009. Altus owns and operates 105 MW of solar photovoltaic projects across the United Sates. Altus develops and acquires projects ranging from distributed generation of 1MW and larger to community solar gardens to small utility scale assets up to 50MW. Altus is funded by Goldman Sachs, FS Investments, and Global Atlantic Financial Group. Altus has full discretion to draw from and commit approximately $333 million (USD) in equity towards solar generating assets. In addition to Altus’ equity, it has the ability to secure approximately $300 million (USD) in tax equity and debt, giving it over $600 million (USD) of capital available to invest in solar assets. In Q4 of 2017, Altus raised an additional $150 million (USD) in capital mandated for investments in large commercial and small utility projects characterized by less cash flow variability and more competitive yields. Ballard Spahr LLP, an Am Law 100 law firm with more than 650 lawyers in 15 offices in the United States, provides a range of services in business and finance, litigation, real estate, intellectual property, and public finance. Our clients include Fortune 500 companies, financial institutions, life sciences and technology companies, health systems, investors and developers, government agencies and sponsored enterprises, educational institutions, and nonprofit organizations. The firm combines a national scope of practice with strong regional market knowledge. Our Energy and Project Finance Group is a nationally recognized practice in the areas of project development, finance, regulation, and investment. 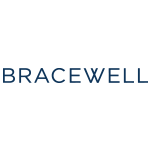 Bracewell is a leading law and government relations firm serving the power, oil and gas, financial services, technology and public finance industries throughout the world. Our industry focus enables us to maintain cutting-edge experience and in-depth knowledge of the commercial, legal and regulatory challenges faced by our clients so that we can provide the most effective legal solutions to facilitate transactions and resolve disputes. Navisun LLC™ (www.navisunllc.com) is a solar independent power producer operating throughout the United States. 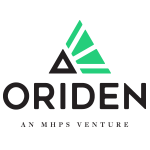 The Company focuses on developing, acquiring, constructing, financing, owning, and operating distributed and small utility-scale ground mount and rooftop solar projects. Navisun’s principals have over 65 years combined power and energy industry experience, with over 35 years focused on the renewable energy space. Together they have completed numerous solar projects for utilities, municipalities, universities, schools, hospitals, and similar institutions, with typical project sizes ranging from 500 kilowatts to 20 megawatts. 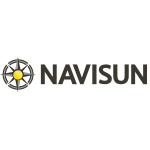 Navisun’s proven management team positions the Company as a flexible market leader with a long-term investment horizon in the U.S. distributed solar power industry. 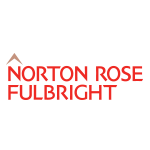 Chadbourne & Parke and Norton Rose Fulbright merged on June 30 to make a combined firm with 4,000 lawyers in 59 offices in 33 countries, including 400 working in the power sector of whom close to a 100 are in the United States. The prestigious Chambers directory has consistently ranked the Chadbourne project finance team at the top of the US renewable energy market based on year-round interviewing of corporate law departments and peers at other firms. The group did $53.5 billion in financings in the last two years. Approximately 60% of the work of the group in each of the last 11 years has been in renewable energy. The group has worked on projects in more than 80 countries. 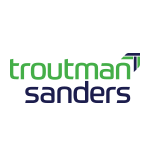 The energy industry is a key vertical and center of excellence at Troutman Sanders. U.S. News has recognized us as a national, top-tier energy practice in the U.S. News-Best Lawyers, “Best Law Firms” edition, and our renewable energy practice has won nationwide recognition in the Chambers USA guides. We provide top legal advice to independent power producers, developers, and financial, utility, industrial and government clients in energy-related businesses in the U.S. and internationally. We have extensive transactional, financing and regulatory experience in the electric power (including renewable energy), natural gas and water industries. Our comprehensive understanding of the energy industry makes us a “go-to firm” for clients seeking counsel regarding all types of energy transactions. UL supports regulators responsible for building safety and security especially in new and emerging markets. We educate, train and advise you to help reduce risk and deploy improved regulations, we also offer certifications for safer products (horticultural lighting and oil extraction equipment) and buildings (fire safety and security certification) throughout the supply chain to deliver confidence between property owners, service providers, and other stakeholders; including code authorities, insurance companies, and government agencies. The UL Security and Fire Certificate is a declaration that the alarm systems have been installed, maintained, tested, and monitored, in accordance with the most up-to-date applicable codes and standards. Our Building Inspection Program provides a complete facility safety plan by working with architects, insurers, or building code officials to assure that the fire, life safety, and security systems will operate properly in the event of a fire or robbery. 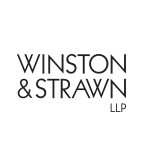 Winston & Strawn LLP is an international law firm with more than 850 attorneys among 18 offices in North America, Europe, and Asia. The firm’s energy, project development, and finance practice is a particular strength of the firm, offering more than 30 years of industry experience, innovation, and a track record of success over a broad range of energy-related services. We advocate and advise on new energy policies and regulatory compliance. We provide assistance on all types of development agreements, including power purchase agreements, interconnection agreements, operations and maintenance agreements, and supply and procurement agreements. We assist clients in the structure and financing of energy projects, and in the acquisition and disposition of companies and assets. We also offer counsel on cutting-edge market trends and tax matters. Together, our experience, capabilities, and integrated platform help us to guide successfully our clients through today’s dynamic energy environment. Aon’s Transaction Solutions team is the leading tax insurance broker for securing tax credit investments in renewable energy. Our tax insurance team is comprised of experts recognized across the industry for their experience in developing innovative, cost-effective tax insurance solutions. We help protect M&A and financing transactions as well as managing tax risks outside of a transaction. Aon has led the creation and advancement of transaction liability insurance. We bring a depth of knowledge and passion for developing tailored solutions to your complex deal risks that is unparalleled in the insurance industry through our team of tax and M&A attorneys and other senior professionals. In addition to tax insurance, our team specializes in representations and warranties insurance and other bespoke solutions to support sales of projects and developers. 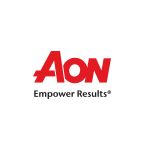 Aon is a leading global professional services firm providing a broad range of risk, retirement and health solutions. Our 50,000 colleagues in 120 countries empower results for clients by using proprietary data and analytics to deliver insights that reduce volatility and improve performance. Aon’s renewable energy practice leads the industry in providing P&C insurance for projects across the globe. With a network of more than 4,000 locally qualified and internationally experienced lawyers, Baker & McKenzie is one of the world’s leading global law firms and a long-standing leader in the renewable energy industry. Our Global Renewable Energy and Clean Technology practice provides a full range of legal services to participants in the wind, solar and bioenergy sectors and we have represented clients on market-defining transactions throughout the U.S. and the world. Working seamlessly across our 77 offices in 47 countries, we help clients structure, acquire, finance and implement projects and manage their investments, whether in developed, developing or transition countries. Our ultimate aim is to efficiently provide commercially effective solutions to our clients at every stage. Bank of America Merrill Lynch (BofAML) is the marketing name for the global banking and global markets businesses of Bank of America Corporation, one of the world’s largest financial institutions, providing a full range of banking, investing, asset management and other financial and risk management products and services. BofAML is a global leader in corporate and investment banking and trading, serving corporations, governments and institutions around the world. As part of BofAML, Renewable Energy Finance (REF) specializes in tailored financing products and services for renewable clients and their respective projects. REF’s offerings include tax equity investments and a variety of structured debt products, each uniquely designed and comprehensively delivered alongside BofAML’s banking, markets and structured solutions teams. BayWa r.e. Solar Projects, a subsidiary of BayWa AG, is based in California and provides turnkey project development, design and construction, operation and maintenance, and project finance. With over three decades of experience and 400 MW of operating solar assets and 1.4 GW in technical management worldwide, our cross-functional team combines local expertise with global experience to deliver innovative photovoltaic solutions precisely planned and constructed with best-in-class financing to maximize your return on investment. With a strong financial parent, BayWa r.e. Solar Projects is able to structure and finance project on an individual basis ensuring a high-quality solar investment. Whether you are an investor seeking higher returns, or a business organization turning to solar electricity to lower costs and reap the benefits of tax credits, we understand how to manage, maintain and maximize project operations making us the partner of choice. BayWa r.e. Solar Projects is actively seeking to develop and acquire offsite solar projects throughout North America. 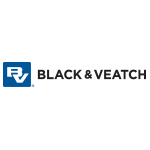 With more than 100 years of service, Black & Veatch has helped clients improve the lives of people in more than 100 countries through consulting, engineering, construction, operations and program management. Black & Veatch’s Smart Integrated Infrastructure business supports the innovations of utilities and cities by establishing the foundation of all smart functions as we bring together physical infrastructure, communication networks and data analytics to infuse intelligence into systems. As a global leader in Critical Human Infrastructure, our technologies boost sustainability, resiliency, efficiency, economic health and cultivate new system-wide intelligence at utilities and along roadways, in cities and beyond. CCA Group is a premier independent investment banking firm that provides financial advisory services to Issuer and Investor clients in the Global Asset Finance marketplace. The firm is focused on creating innovative financing and investment opportunities utilizing fixed capital assets that are essential to the end user. Our team of senior professionals leverages knowledge gained from years of experience investing in and managing fixed assets to provide rational advice to our clients. At CohnReznick Capital our team creates unprecedented firsts, providing investment banking services to the sustainability sector. 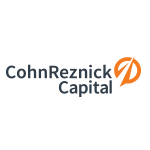 Since 2010, CohnReznick Capital has executed more than 85 project and corporate financings for renewable energy assets valued at more than $11 billion in aggregate. As the #1 ranked Renewable Energy Financial Adviser by IJ Global Magazine, we deliver exceptional service for financial institutions, infrastructure funds, strategic participants (IPPs and utilities), and leading global clean energy developers. Our team of experts help our clients breakthrough the dynamic and evolving sustainability sector by simplifying project finance, M&A, capital raising and special situations. To learn more visit www.cohnreznickcapital.com, follow @CR_Capital on twitter, and connect with us on LinkedIn, Facebook & Instagram. Cornerstone Financial Advisors, LLC is a boutique, full service structured finance advisory firm, recognized as a premier renewable energy and equipment leasing advisor to investors and sponsors. Chicago-based Cornerstone has originated, structured and executed financings representing more than $50 billion in assets. The principals of Cornerstone have worked together for over 15 years and the professional team has over 100 years of combined experience in structured finance, focused on origination, structuring, executing and managing highly complex investments. Cornerstone’s financial advisory and asset management services include: origination, pricing and structuring of multiple financing vehicles such as sale/leasebacks and tax partnerships; third party consultant and expert coordination and oversight; document negotiation and execution; tax review and analysis; contract and credit monitoring and management of asset sales and dispositions. In addition, Cornerstone has well-established relationships with key industry funding sources, sponsors/developers, law firms and third party consultants. DELOITTE’S M&A practice provides, comprehensive and strategically focused tax, accounting and advisory services to both financial and corporate buyers. With a global network of over 4,000 M&A specialists, clients have access to experienced professionals in all forms of acquisitions, investment and financing structures, disposition alternatives, and post transaction and integration activities. Our multi-disciplinary approach teams top-flight M&A professionals, industry specialists and technical experts to provide fact-based answers and independent advice geared to helping clients minimize risk and maximize returns. Our Renewable Energy practice has experience in a wide range of disciplines, from corporate/M&A to tax, and covers all of the renewable energy technologies, including onshore and offshore wind, solar, biomass, geothermal, biofuels and hydro. We have advised on more than 40GW of renewables projects globally, and more than 2.5GW of generating wind capacity in the past year alone. Eversheds Sutherland provides the full range of legal services to a global client base ranging from small and mid-sized businesses to the largest multinationals, acting for 72 of the Fortune 100, 61 of the FTSE 100 and 120 of the Fortune 200. With more than 2,400 lawyers, Eversheds Sutherland operates in 66 offices in 32 jurisdictions. 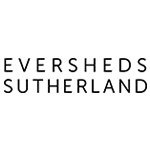 Eversheds Sutherland is a global legal practice and comprises two separate legal entities: Eversheds Sutherland (International) LLP (headquartered in the UK) and Eversheds Sutherland (US) LLP (headquartered in the US), and their respective controlled, managed, affiliated and member firms. For more information, visit eversheds-sutherland.com. FTI Consulting is a global business advisory firm. With more than 4,600 professionals in 28 countries, we work closely with our clients to anticipate and overcome complex business challenges. Our Clean Energy Practice supports clients across the clean energy value chain, addressing the strategic, financial, operational, reputational, regulatory and capital needs of clean energy companies and their investors with a focus on wind, solar, biofuels/biomass, energy storage and emerging technologies. FTI Consulting’s Clean Energy Practice has deep experience in a wide array of advisory services including restructuring and interim management, transaction advisory and due diligence, capital advisory, litigation support, strategy, price forecasting, market intelligence and regulatory advisory. In collaboration with our Clean Energy Practice, FTI’s broker dealer subsidiary, FTI Capital Advisors, LLC provides targeted M&A advisory and capital markets services across renewable technologies. We maintain strong relationships with a vast network of strategic and financial investors who actively participate in the clean energy space, allowing us to execute expeditiously and with highly favorable results for our clients. FTI Capital Advisors, LLC is an SEC registered broker dealer investment bank and member of FINRA/SIPC and MSRB. 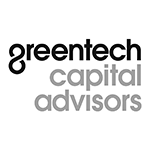 FTI Capital Advisors, LLC is a wholly owned subsidiary of FTI Consulting, Inc.
Greentech Capital Advisors is the leading investment bank and asset manager dedicated exclusively to sustainable energy, technology and infrastructure. We’re purpose-built, helping Sustainable Infrastructure clients incorporate innovation and productivity into our energy, water, food and waste infrastructure systems. From global leaders to high growth private disruptors, we’re dedicated to our clients’ success and to changing the way the world does business. We execute merger, divestiture and acquisition transactions, raise capital through private placements, and provide strategic advisory services for Sustainable Infrastructure companies and projects. We also manage funds that offer institutional investors global exposure to companies that are profiting from sustainability. We are an expert team of 55 professionals working seamlessly on our clients’ behalf in New York, Zurich and San Francisco and through a strategic partnership in Japan. Our team of experienced bankers and investment professionals provides conflict-free advice and thoughtful, innovative solutions, and we do so with an intensely focused effort that does not stop until our clients achieve success. 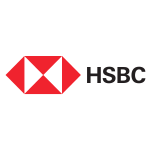 HSBC is one of the world’s largest banking and financial services organizations. With around 3,800 offices in both established and emerging markets, we aim to be where the growth is, connecting customers to opportunities, enabling businesses to thrive and economies to prosper, and, ultimately, helping people to fulfil their hopes and realize their ambitions. 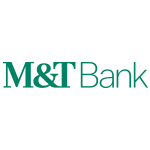 We serve more than 38 million customers worldwide through our four Global Businesses: Global Banking and Markets, Commercial Banking, Global Private Banking, and Retail Banking and Wealth Management. Our network covers 66 countries and territories in Europe, Asia, the Middle East and Africa, North America and Latin America. HSBC Global Banking and Markets provides tailored financial solutions to major government, corporate and institutional clients worldwide. Managed as a global business, we offer clients geographic reach and deep local knowledge. Husch Blackwell Renewable Energy Practice. From pioneering start-up technologies to some of the largest wind and solar developments in the country, Husch Blackwell serves many of today’s most innovative renewable energy companies. 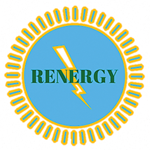 Our deep, extensive history representing independent power producers and electric utilities in all facets of their business gives us vast institutional knowledge regarding the matters affecting renewable energy projects. Developers, investors, owners and lenders depend on us to help complete and launch their renewable projects with speed and efficiency. Emerging clean-tech companies and alternative fuels entrepreneurs rely on us to help bring their technologies to market. Members of Husch Blackwell’s Wind Energy team draw from a broad array of energy, environmental, regulatory, construction, project finance, tax and capital markets experiences to meet our clients’ specific needs. Clients benefit from Husch Blackwell’s deep experience in the full range of wind power project development and construction matters. 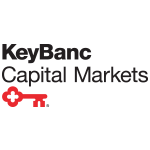 employees of KeyBank N.A.. Banking products and services are offered by KeyBank N.A. Lazard, one of the world’s preeminent financial advisory and asset management firms, operates from 43 cities across 27 countries in North America, Europe, Asia, Australia, Central and South America. With origins dating to 1848, the firm provides advice on mergers and acquisitions, strategic matters, restructuring and capital structure, capital raising, and corporate finance, as well as asset management services to corporations, partnerships, institutions, governments and individuals. For more information on Lazard, please visit www.lazard.com. Follow us at @Lazard. 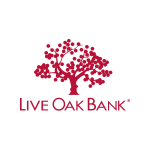 Live Oak Bank’s renewable energy lending team are experts in utility-scale solar project financing, community solar, and battery-storage project financing nationwide. We offer solar project developers and their tax equity partners a first-class lending experience. You don’t spend time getting us up to speed: we know the program, the process and the players, making your utility-scale solar project financing experience smooth and efficient. Working with Live Oak offers developers more flexibility to grow their project pipeline without being saddled with debt at the corporate level. Contact us to learn more. Marathon Capital is a leading financial advisory and investment banking firm focused on providing financial advice in the areas of M&A, capital raising of debt and equity, project finance, tax equity, financial restructuring, recapitalization, bankruptcy and workout situations in the energy sector. Marathon Capital is a three-time recipient of the “Best Renewable Asset M&A Advisor” Award (2013, 2014, 2016), as well as the “Renewable Generating Project Finance Deal of the Year” Award (2016) in Power Finance & Risk’s Annual Power Finance Deals and Firms Awards. Mayer Brown is a leading global law firm with offices in major cities across the Americas, Asia and Europe. Our experience in the solar sector started more than twenty years ago when we worked on Solar Electric Generating System IX (SEGS) in California, one of the first large-scale solar projects in the United States. Our lawyers have represented financiers, sponsors and other project participants on important and cutting edge solar energy projects and financing structures across the globe. We offer local market expertise on a global basis, with offices in each of the major energy and financial centers around the world – London, New York, Hong Kong, and Houston. 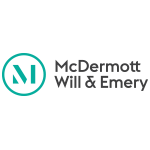 McGuireWoods’ cross-discipline, cross-practice energy industry team brings together legal, policy, energy technology and business experience to meet the challenges our clients face. Our energy industry experience has been recognized for the depth of our bench (more than 100 interdisciplinary lawyers) and the extent of our experience. We have been serving some of our energy clients for nearly 50 years. We advance our renewable energy clients’ interests by getting deals done, by helping clients successfully and creatively navigate the complexities and pitfalls in this dynamically evolving industry and by maximizing the value of various tax, energy, environmental rules, markets and governmental incentives available to the renewable energy industry. At MMA Energy Capital, we use our experience and expertise to partner with renewable energy developers, constructors and system owners to provide project capital necessary to develop and build world class renewable energy systems. Our approach allows us to provide custom solutions around construction debt, development capital and permanent debt that enable our customers to effectively develop and build projects with the certainty that their capital needs will be met through an efficient and collaborative process. Through its former ownership of MMA Renewable Ventures, MMA has over a decade of renewable energy investment experience. Our deep knowledge of the renewable energy business provides for an exceptional experience working through complicated transactions as our staff understands the specific needs of our customer’s projects. For our entire business, the key to our success is our commitment to performance built on our core values of Integrity, Innovation and Service. At Morgan Lewis, we partner with clients to understand their needs and craft powerful solutions for them. Our team encompasses more than 2,000 legal professionals, including lawyers, patent agents, employee benefits advisers, regulatory scientists, and other specialists, working together across 29 offices in North America, Europe, Asia, and the Middle East. 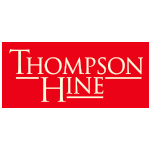 Named U.S. News & World Report / Best Lawyers’ 2015 Law Firm of the Year for Energy, our team serves the electric power sector (conventional, nuclear, and renewable, including wind and solar and transmission); the oil and gas sector (upstream, midstream, and liquefied natural gas; refining; and petrochemicals); the water industry; and financial institutions, investment funds, project developers, state-owned enterprises, and public-private partnerships in the energy sector. Our global energy practice is renowned for its work on multi-billion dollar energy transactions. Often involving multinational investment, first in country, or sector undertakings or novel structures, these deals encompass the development, financing, acquisition, and divestiture of both conventional and unconventional resources. Every major transaction is supported across disciplines by our corporate, regulatory, tax, environmental, antitrust, litigation, labor, employment, and benefits lawyers. Morrison & Foerster has one of the nation’s leading practices devoted to the development and financing of solar power and other renewable energy projects. Our lawyers have played a key role in the inception and development of the equity, debt and capital markets for solar power projects, representing many of the industry’s leaders. We have expertise advising companies in both the photovoltaic and concentrated solar thermal domains (including utility-scale solar thermal projects), in the United States and overseas. Our lawyers have successfully closed solar transactions from over $1.6 billion in loan guarantees for three projects in a 375 MW concentrated solar thermal power complex in the Mojave Desert in California to advising on the eighth largest photovoltaic plant in the world. MUFG Union Bank, N.A., is a full-service bank with offices across the United States. The bank also offers an extensive portfolio of value-added solutions for customers, including access to investment banking, personal and corporate trust, capital markets, global custody, transaction banking, and other services. With assets of $120.0 billion as of March 31, 2016, the bank has strong capital reserves, credit ratings, and capital ratios relative to peer banks.1 MUFG Union Bank is a proud member of the Mitsubishi UFJ Financial Group (NYSE: MTU), one of the world’s largest financial organizations with total assets of approximately ¥298.3 trillion (JPY) or $2.6 trillion (USD),2 as of March 31, 2016. MUFG Americas Holdings Corporation, the financial holding company, and MUFG Union Bank, N.A., have corporate headquarters in New York City. Orrick is a global leader in the development, financing, acquisition and disposition of utility scale and distributed solar projects. In an evolving and increasingly complex industry, REC Solar and Duke Energy Renewables are creating a smarter energy future, one that is based on risk mitigation and a simplified approach to energy modernization, diversification and resiliency. Consuming power now comes with options that never existed before. With new choices comes the responsibility of energy partners to help navigate this new industry paradigm. Our renewables energy strategy is customer-centric, bringing advanced energy intelligence, operations and ownership to the marketplace for over 100+ years. 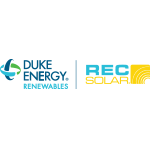 The nimbleness of an entrepreneurial company like REC Solar combined with the experience and financial heft of a utility leader like Duke, bring better solutions to deliver enduring business value far beyond the cost per watt. Rubicon is one of the world’s leading investment banking firms focused solely on the infrastructure, energy & utilities sectors. With offices in Europe and the Americas, along with further expansion plans in 2019 to open an office in Sydney, the firm has a truly global reach. Since inception in 2011, Rubicon has closed over 40 transactions covering the sale, acquisition or refinancing of approximately 100 essential infrastructure, energy & utilities assets located across Europe, North America, Latin America and Asia with a combined enterprise value in excess of USD $35 billion. The firm is regulated by the Central Bank of Ireland. Learn more about the firm at: www.rubiconinfra.com and by following Rubicon Infrastructure Advisors on LinkedIn. Sheppard Mullin is a leading law firm in the renewable energy sector. With over 600 attorneys in 16 offices across the globe, we provide renewable energy clients with a comprehensive range of legal services. We advise regarding financing, taxation, mergers and acquisitions, EPC contracts, project agreements, litigation, real estate, land use, and intellectual property protection. Sheppard Mullin attorneys counsel across the full range of renewable projects, from distributed generation across the US to some of the largest utility scale projects in the world. and venture capital, and premium wine industries. Learn more at svb.com. Wilson Sonsini Goodrich & Rosati is uniquely positioned to help companies and their financial partners realize the vast promise of the energy and clean technology field. The firm’s traditional leadership in the technology sector makes us exceptionally well suited to serve as a strategic advisor to visionary companies at all stages of development. To take full advantage of this unparalleled platform, we have assembled a highly specialized team of energy and clean technology attorneys, giving us top-tier expertise in everything from patents to project finance, government affairs to tax structures. Also setting the firm apart are our longstanding relationships with venture capitalists, private equity firms, and major financial institutions across the U.S. and abroad, which allow us to serve as a conduit to—and advisor regarding—-a wide variety of funding sources. 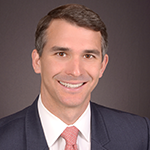 When it comes to structuring and closing groundbreaking transactions in the emerging energy economy, Wilson Sonsini Goodrich & Rosati has become the firm of choice for leading companies, investors, and lenders. Baker Botts is a globally respected law firm with 725 lawyers and 14 international offices. We are driven by the highest ethical and professional standards. This professionalism, combined with industry knowledge and insights and our understanding of the law, helps us to deliver effective, innovative solutions for our clients. For more than 175 years, Baker Botts has delivered results-oriented services, establishing us as a leading law firm. Our reputation is complemented by our leadership in government, the judiciary and our communities. Regardless of size, sector or jurisdiction of a client, our commitment is to help achieve their business objectives. BlueWave Solar developed a platform to make it easier for households & businesses to go solar without an installation – perfect for renters! Plus, homeowners in Massachusetts can go “AllBlue” by adding Community Solar to their home solar installations. 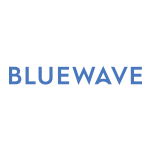 BlueWave Solar provides Community Solar subscriptions from our own projects and provide Community Solar customer management for other developers as our clients. BlueWave works with home solar installers to provide accessible financing options so that owning your own solar system, or solar + storage system, becomes not only feasible but profitable. Fredrikson & Byron has built a reputation as the firm “where law and business meet” by bringing business acumen and entrepreneurial thinking to our work with clients, and by operating as business advisors and strategic partners as well as legal counselors. Our Renewable Energy Group assists clients with the development and financing of renewable energy projects, and acquisition and divestiture of renewable energy assets throughout the United States and Canada. 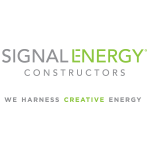 Our work also extends to the supply chain, including manufacturing, construction and service companies, where we help them with commercial contracts, joint ventures and mergers and acquisitions to advance their interests within the renewable energy market. 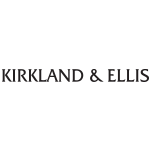 Kirkland & Ellis is a global law firm with 2,500 attorneys representing clients in private equity, M&A and other complex corporate transactions, restructuring and tax, litigation and dispute resolution/arbitration, and intellectual property matters. The Firm has 14 offices around the world: Houston, Dallas, Beijing, Boston, Chicago, Hong Kong, London, Los Angeles, Munich, New York, Palo Alto, San Francisco, Shanghai and Washington, D.C. Serving clients in every major international financial center, Skadden, Arps, Slate, Meagher & Flom LLP and affiliates is one of the leading law firms in the world, with 23 offices and approximately 1,700 attorneys. Our diversified practice enables us to offer solutions to the most challenging legal issues in virtually every area of corporate law, providing the specific legal advice clients need to compete most effectively in a global business environment. Our clients range from a variety of small, entrepreneurial companies to a substantial number of the 500 largest U.S. corporations and many of the leading global companies. We have represented numerous governments, many of the largest banks — including virtually all of the leading investment banks — and major insurance and financial services companies. The firm has more than 40 practice areas and advises clients in matters involving, among others, energy and infrastructure projects, energy regulation and litigation, mergers and acquisitions, litigation and arbitration, corporate finance, corporate restructuring, securities law, banking, antitrust, tax and intellectual property. 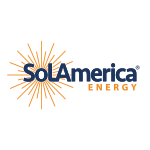 SolAmerica Energy (“SAE”) is an Atlanta-based solar developer, EPC and O&M provider. SAE was famed in 2009 and today has offices in Chicago, Raleigh and Jupiter, FL. 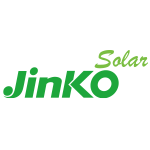 JinkoSolar (NYSE: JKS) is a world-renowned solar module manufacturer. JinkoSolar has over 12,000 employees across its 5 productions facilities globally. The company distributes its solar products and sells its solutions and services to a diversified international utility, commercial and residential customer base in 108 countries worldwide. JinkoSolar has built a vertically integrated solar product value chain, with an integrated annual capacity of 9.2 GW for silicon ingots and wafers, 6.5 GW for solar cells, and 10 GW for solar modules, as of September 30, 2018. JinkoSolar (U.S.) Inc. works closely with top financial institutions and key stakeholders in the solar industry. Publicly vetted by trusted industry third party laboratories, JinkoSolar is the most chosen in US utility and fastest growing in residential, and broadly considered the one of the most reliable PV module suppliers in the United States and Canada. The North American offices are located in San Francisco, CA and Jacksonville, FL. Our alternative energy attorneys represent developers and financing parties in over 2,000 MWs of projects in the Carolinas and southeast. As opportunities shift to RTO markets for hybrid solar and other distributed energy resource projects, we have added RTO, FERC and state regulatory attorneys to guide clients through emerging revenue structures. We assist clients in regulated and RTO markets as stacked services revenue moves from theory to reality. 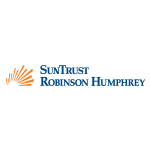 Nelson Mullins Riley & Scarborough LLP offers the strength and resources of attorneys and professional staff experienced in a range of services. We provide advice and counsel in for clients ranging from private individuals to large businesses, including many publicly held companies. 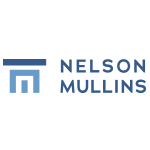 Established in 1897, Nelson Mullins has more than 575 attorneys and other professionals with offices in 10 states and Washington, DC. For more information on the Firm, go to www.nelsonmullins.com. 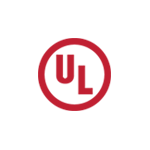 S&P Global Market Intelligence’s Energy offering integrates news, data, analytics, forecasts, regulatory research, and proprietary and market prices into one tool. And unlike other energy information providers, our data is strong across the board—giving you a single, comprehensive source that covers every sector of the U.S. energy industry, including renewables. 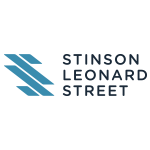 Stinson Leonard Street LLP provides national, full-service legal counsel to investors, lenders, developers, contractors and other stakeholders in energy projects. We work collaboratively with each client to provide a personalized and distinctive experience, using our extensive experience and market knowledge to deliver value on each and every project. Our attorneys provide sophisticated, efficient and effective representation for companies in the increasingly competitive and complex renewable energy industry. Stinson Leonard Street has offices in 13 U.S. locations and serves clients nationwide. First Solar is a leading global provider of comprehensive photovoltaic (PV) solar systems using advanced module and system technology. Through determined innovation, we have achieved a significant milestone by delivering solar energy that is an economically attractive alternative to fossil-fuel sourced electricity. From module sales through turnkey power plant development, First Solar is a reliable, world-class partner for clean, renewable energy generation. 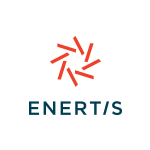 Enertis is a global Consulting and Engineering firm, a leader in the renewable energy sector and pioneer in the provision of testing and quality assurance services. Enertis started its business activity back in 2007, and has accumulated a global track-record of more than 24,000 MW in 40 countries worldwide. As specialists in technical advisory, we have an integral understanding of renewable energy projects, covering technical, environmental, financial and contractual aspects. Our mission is to guarantee the maximum profitability for our clients and an adequate management of their project risks by providing innovative high added-value services based on a team with technical expertise and “hands-on” experience. As a 360º service provider, we can provide high-quality services at any stage of a projects life cycle, from the analysis of different solutions for power purchase agreements up to feasibility and resource studies, the design of the plants, construction and commissioning oversight, and annual revision to guarantee the proper operation of the facilities, amongst others. 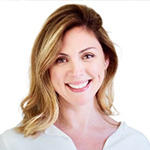 Headquartered in Spain and in the United States, Enertis is also locally present in Mexico, Panama, Colombia, Chile, the United Kingdom, France, South Africa and China. The ABC software structures lease and partnership transactions using linear programming optimization techniques. We serve an impressive roster of Fortune 500 corporations, commercial banks, and developers in the renewable, real estate, and project finance industries. 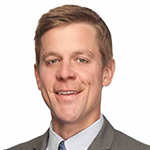 ABC supports utility, commercial and residential scale solar transactions involving sale/leaseback, partnership flip, lease pass-through and power purchase agreement structures. ABC is available as both an interactive pricing tool and as a back-end calculator for price-quoting tools of residential solar vendor programs. ABC has full HLBV reporting and is used for tracking partnership transactions. Models are fully customized to meet your reporting requirements. 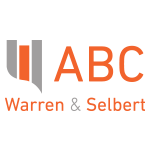 As a premier financial software firm, we at Warren & Selbert work hard to provide excellent customer support to ensure our clients’ success. For more information, visit www.warren-selbert.com. DNV GL is the world’s largest provider of independent renewable energy advice. The recognized authority in onshore wind energy, we are also at the forefront of the offshore wind, wave, tidal and solar sectors. Although the DNV GL name is new, the company has a rich heritage in renewable energy stretching back to the 1970s. Our organization now integrates the powerful legacy of GL Garrad Hassan and DNV KEMA. 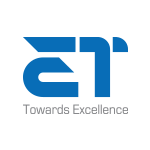 We provide independent technical and engineering services, products and training. Customers include renewable energy developers, investors, lenders, manufacturers, construction firms, owners, operators, insurers, non-profit / government organizations, and large-scale utility firms. Our team of dedicated experts is present in all major and emerging global markets for renewable energy. DNV GL’s global perspective is informed by local understanding that can only come from a local presence. Founded in 2004, Paragon is a leading provider of financial advisory services and has unparalleled expertise in tax equity and sponsor equity structuring, solicitation and placement as well as M&A for renewable and conventional energy projects. Paragon’s professional team has advised project sponsors and tax equity investors in connection with over 50 renewable energy projects totaling over 5,000 MW of generating capacity and requiring approximately $10 billion of capital. These capital raises have included development stage projects and portfolios, projects under construction and projects in operation, and have involved tax partnerships, sale-leasebacks, pro rata sales and other financial structures. In the solar power segment, we have provided both sell-side and buy-side tax and sponsor equity advisory services on residential, distributed generation (C&I), and utility scale projects totaling over $2 billion in transaction value. Our solar power project geographic experience includes projects located in Arizona, California, Colorado, Delaware, Florida, Hawaii, Maryland, Nevada, New Jersey, New Mexico, New York, Ohio, Pennsylvania, Texas, Virginia, as well as Puerto Rico and Guam. Paragon clients and partners include leading energy project developers, tax equity investors and lenders, strategic investors and private investment firms. 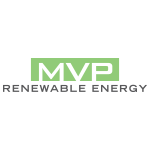 MVP Capital provides mergers and acquisitions, private debt and equity capital raising, and strategic and valuation advisory services focusing on the renewable energy, media, telecom and technology sectors. 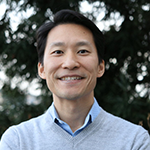 Founded in 1987, MVP has completed over $18 billion of transactions and has offices in San Francisco, New York, Boston, Kansas City and Boulder. Droel, PLLC is the most knowledgeable and experienced firm within the Renewable Energy Industry, assisting clients with solving complex issues or completing intricate deals. We make every client our number one priority, addressing every matter, large or small, with equal amount of dedication, care and attention. At Droel, PLLC, we always meet our clientÂ¹s expectations in regards to deadlines and goals, and weÂ¹re always available when you need us. Droel, PLLC has years of successful representation on record, helping us to become the most trusted advisors, as well as helping to create long-term relationships with all of our clients. WeÂ¹re passionate about Renewable Energy law, and our other practice areas include, but are not limited to, Business, Construction, Employment, Real Estate and Litigation. Call Droel, PLLC now and see the Droel difference for yourself! 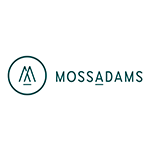 Moss Adams is a fully integrated professional services firm dedicated to assisting clients with growing, managing, and protecting prosperity. With more than 2,900 professionals and staff across more than 25 locations in the West and beyond, we work with many of the world’s most innovative companies and leaders. We serve wind, solar, wave, geothermal, and biofuel, biodiesel, material suppliers, and other organizations who provide technologically advanced, environmentally friendly solutions to some of today’s most compelling global issues. Our strength in the middle market enables us to advise clients at all intervals of development—from start up, to rapid growth and expansion, to transition. 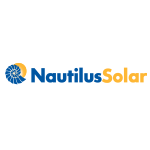 Founded in 2006, Nautilus Solar Energy, headquartered in Summit, N.J., is a leading national solar development, acquisition, and asset management company. Nautilus focuses on developing, acquiring, executing and managing distributed and utility-scale generation solar projects. Over its 11+year history, Nautilus has invested in and asset manages hundreds of MWs of solar projects located throughout North America. Nautilus is minority owned by Virgo Investment Group, LLC. Join Nautilus on LinkedIn and Twitter and visit http://www.nautilussolar.com for more information. Rockwood Asset Management, LLC is an investor and issuer of privately placed debt securities with public monitored ratings (typically AA/Aa or AAA/Aaa). Asset classes include renewable energy PPAs, multi-year tax credit notes, Property Assessed Clean Energy (PACE) and loans. Products are structured and designed for insurance company investors incorporating the best practices from both the ABS and private placement industries. Rockwood is a solutions based issuer with a comprehensive understanding of the unique goals of insurance company investors including: favorable risk based capital (typically NAIC1), definitive statutory/GAAP accounting authority, favorable tax treatment, positive reputational & community impact, streamlined closing procedures and best of class post-closing and investor reporting/relations. 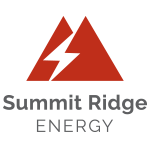 Summit Ridge Energy (SRE) was launched in June 2017 by solar industry leaders, each with years of experience originating, developing, and financing C&I solar projects. 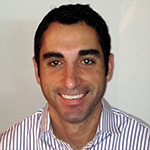 While together at their former employer, the team led the industry in the creation of virtual PPA and associated financing structures. 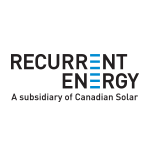 SRE has parlayed this experience into the rapidly growing community solar vertical, and is actively acquiring development assets across multiple US markets. 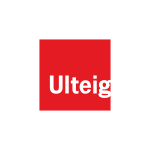 Ulteig is an employee-owned engineering, surveying and consulting firm with locations in North Dakota, South Dakota, Minnesota, Colorado and Iowa. The Westlands Solar Park is a master-planned infrastructure development in Central California compromising primarily of a 2.7+ GW solar park with phased generation projects, energy storage, transmission and other facilities. As the world’s largest solar park development covering 20,000 acres and located in the heart of the Golden State, Westlands aims to help California meet its renewable energy mandates and carbon reduction goals in the most cost-effective and environmentally responsible manner possible. 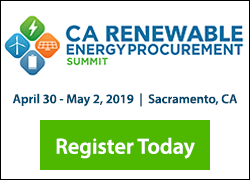 Since 2009, WSP has been leading the conversation about developing in-state renewable energy and prioritizing California’s local economies in the Central Valley. 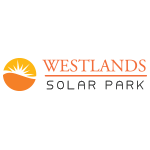 With strong support from environmental and agricultural communities, Westlands Solar Park is a California project, owned by California companies. Wood is a global leader in the delivery of project, engineering and technical services to energy and industrial markets. We operate in more than 60 countries, in over 600 offices employing around 55,000 people, with revenues of over $11 billion. We provide performance-driven solutions throughout the asset life cycle, from concept to decommissioning across a broad range of industrial markets including upstream, midstream and downstream oil & gas, chemicals, environment and infrastructure, power & process, clean energy wind and solar, mining, and general industrial sectors. 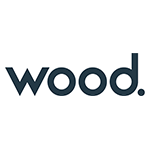 Wood brings together the ‘power of three’, harnessing the inherent strengths and richly diverse heritages of Wood Group, Amec and Foster Wheeler – three great brands to create a new company of significant global scale and enhanced capability. Array Technologies, Inc. is the leading solar tracking solutions and services provider for utility-scale projects. With efficient installation and terrain flexibility, coupled with high reliability, durability and performance, Array delivers the best project returns in the industry. As the chosen tracker for more than 16 GW years of energy production, Array’s products have been optimized through unparalleled experience garnered over nearly three decades. Array Technologies is headquartered in the United States with offices in Europe, Central and South America, the Middle East, and Australia. For more information, please visit arraytechinc.com. 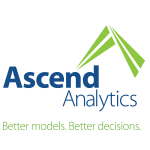 Ascend Analytics is a leading analytics software and consulting provider for the energy industry with 30+ employees and 3 of the top 5 US utilities as customers and over a decade of organic growth. 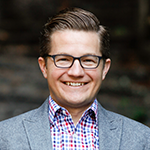 Ascend provides innovative solutions focused on decision analysis for resource planning and asset valuation, asset operations, portfolio management, and risk analytics. Ascend provides the analytic tools to bridge the physical models of energy generation with the competitive dynamics of today’s power markets. The resulting software solutions and consulting provide the energy industry with the actionable intelligence to manage energy supply portfolios from the next hour, to intermediate term hedging, to long-term resource planning. Ascend uniquely captures physical and financial risk and translates this into operating opportunities for energy companies to realize market opportunities. For energy storage, Ascend captures the hidden value of flexibility and translates this into economic value for operations and planning. 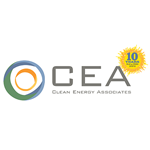 Founded in 2008, Clean Energy Associates (CEA, www.cea3.com) is a North American-owned solar PV quality assurance, supply chain management and engineering services firm based in China with 50+ professionals serving the needs of project developers, IPPs, EPCs, financial institutions and other downstream partners that value supply chain transparency and quality solutions in the solar energy field. Led by a management team with a combined 50+ years of solar PV business experience and supported by 30+ engineers who have audited factories and installation sites in over 20 countries, CEA’s project experience and technical capabilities help solve a broad array of clients’ downstream needs for higher system performance. Cypress Creek Renewables is the American leader in Local Solar. Cypress uses a data driven approach to identify and develop underutilized land on which it builds solar farms ranging from 2 – 20 MW on average, and currently owns one of the largest solar farms east of the Mississippi River. Cypress sells the renewable energy these solar farms create back to local communities and utilities, typically at rates lower than fossil fuels. This process guarantees widespread, affordable access to clean energy. Cypress is fully integrated, and it finances, builds, and operates its utility scale solar farms with the support of over 200 team members, and has invested nearly $2 billion into solar farms since 2014. With over 5 GW of local solar farms deployed or in development (enough to power nearly 1 million homes) across 8 states, Cypress is the largest and fastest-growing dedicated provider of local solar farms in the country. 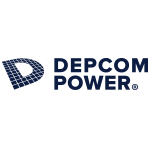 DEPCOM Power, Inc., is a partner in Utility Scale Solar for Project Development Support, Engineering, Procurement & Construction (EPC) and Operations and Maintenance (O&M). DEPCOM Power leverages a highly experienced team of solar industry veterans, the best module technology available, the most cost efficient Balance of System (BoS) components and industry best in class business practices to provide high quality, high production, and cost effective Utility Solar PV systems. 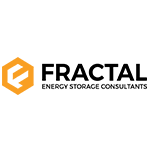 EDF Renewable Energy is a leading U.S. independent power producer with more than 25 years of expertise in the renewable industry, covering all range of services from project development, management to operations and maintenance. EDF Renewable Energy specializes in wind and solar photovoltaic with presence in other segments of the renewable energy market: biogas, biomass, hydro, marine energy and storage solutions. 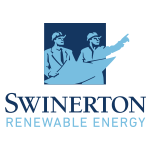 The company develops, constructs, operates and manages renewable energy projects throughout the United States for its own accord as well as for third parties. EDF Renewable Energy’s portfolio consists of 4 gigawatts of developed projects with 1.9 gigawatts of installed capacity. EDF Renewable Energy is the U.S. subsidiary of EDF Energies Nouvelles. 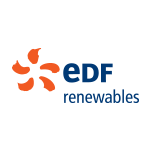 EDF Energies Nouvelles is the renewable energy arm of the EDF group, the leading electricity company in the world. 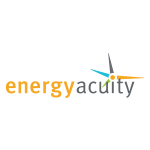 Energy Acuity is the leading provider of power generation and power delivery market intelligence. 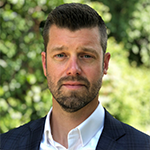 Founded in 2008, EA was built on the principal that essential energy market research could be conducted and presented more efficiently than the traditional third-party data providers. Energy Acuity’s unique approach merges primary research, public resource aggregation, web monitoring and expert analysis, delivered through a simple, dynamic online platform. This allows our clients to focus on actionable information and win business over the competition. 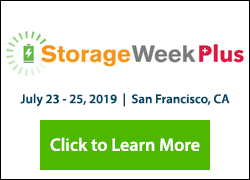 Fractal is a specialized energy storage consulting firm that provides expert evaluation, technical design and financial analysis of energy storage and hybrid projects. Neutral, unbiased and technology agnostic with over 2GW of project design and analysis, and 77 MW of operations. Powerful models to simulate performance, degradation and cost used by utilities and top developers. Site analysis, feasability studies, procurement management and contracting, engineering studies, IE due diligence, design packages and financial models. 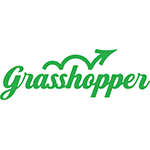 Grasshopper Solar is Canada’s largest fully-integrated solar energy company, focused on the acquisition, development and long-term ownership of solar projects. Founded in 2007, it currently has assets under operation in Canada, the United States and Japan. Grasshopper Solar has been the recipient of multiple national industry awards including Solar Innovator of the Year, Project Finance Innovator of the Year and Solar Developer of the Year. Grasshopper Solar is looking to significantly expand its asset base in the US. At Grasshopper, we’re here to address your specific project needs. Our team understands a solar project requires the interconnection of key stakeholders with the ability to materialize the economic, environmental and social advantages of this elegant technology. 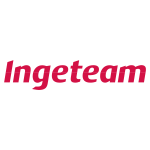 Ingeteam is a global market leader specialized in the design and manufacturing of power conversion and electrical equipment, mainly large inverters, frequency converters, motors, and generators for Wind, Solar PV, Energy Storage and Hydropower generation plants. The company primarily serves four key sectors: energy; industry; marine, and rail traction, and seeks to optimize energy consumption whilst maximizing generating efficiency. With more than 45 years’ experience in the power electronics and control sector, and a proven track record of over 20 years in renewable energy, Ingeteam has designed an extensive range of grid-connected and stand-alone PV and Storage inverters, marketed under the INGECON® SUN brand and with rated capacities from 2.5 kW to 7,150 MW. Over the last 18 years, Ingeteam has supplied more than 12 GW of INGECON® SUN inverters with the majority of these systems equipped for utility-scale multi-megawatt projects. PV AMPS (pvamps.com) is your Engineers in Boots. As Independent Engineers, we assist Owners, Lenders, Insurers, Developers, and EPCs, to Launch, Verify, and Optimize Distributed and Utility Scale Solar + Storage assets across North America. 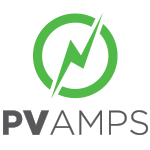 PV AMPS is a proactive, solutions driven, multistate licensed consultancy with decades of engineering, data analytics, and in-the-field troubleshooting experience. We work on your behalf to identify and mitigate risks, validate system performance, evaluate asset condition and assess rehabilitation options. PV AMPS creates and implements transparent and proven processes to navigate the life-cycle challenges of new and existing assets. We engineer financial viability. 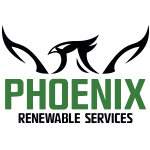 Phoenix Renewable Services is a leading, independent Solar O&M provider. We provide an in- house, full turn-key O&M solution including system commissioning, 24/7 performance monitoring and diagnostics, preventative and corrective maintenance (including med. voltage), PV module cleaning, and vegetation management. We currently service over 250 MW of C&I and small utility scale sites throughout California, Arizona, and Nevada and are looking to grow strategically and deliberately with the right partners. Our management team has decades of experience in solar EPC and in designing and engineering power systems and power quality equipment (specializing in inverters). We also have strong, in- house DAS and network engineering capabilities. We pride ourselves on our proactive service approach and being the trusted technical advisor and partner to our clients looking to protect and maximize their solar investment. Rabobank’s team of experienced bankers and analysts offer specialized financial and advisory services for our clients in the food & agribusiness, commodities and energy sectors. We bring to all client relationships a compelling combination of deep industry expertise, insightful strategic counsel, and customized financial solutions. Our award winning Project Finance team provides non- and limited-recourse finance solutions for renewable energy projects, with a focus on wind, solar and bioenergy. Our Project Finance team also offers tailor-made financing solutions (structuring, execution, and advisory) for projects sponsored by the bank’s clients in the food and agriculture (F&A) sector. 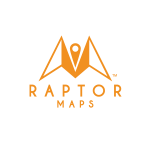 Raptor Maps replaces the guesswork in portfolio management with objective, bankable aerial imaging. Our software-first approach gives you the ultimate control over your asset inspection to increase production and mitigate risk. Review your financial and production impact summaries, see original and analyzed data firsthand, and easily integrate with your enterprise software. For PV systems under construction, Raptor Maps provides quantitative site progression metrics and proof of milestone completion. Raptor Maps analyzed over 4 GW of PV systems in 2018 across 18 countries. 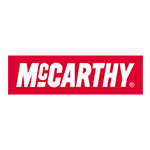 The company was founded by MIT engineers and headquartered in Boston, MA, USA. SolarBuyer is the industry’s leading provider of risk management and quality assurance services for PV equipment. We provide accredited laboratory testing, factory assessment, quality assurance and field inspection solutions for investors and buyers of PV modules and inverters. SolarBuyer has conducted over 225 independent factory audits on over 62 GW of PV manufacturing capacity, provided quality assurance services to over 5 GW of equipment shipments and advised on over $3B of equipment supply contracts. Our unique 5-tier quality rating system for PV equipment provides an easy-to-use, dependable way to assess equipment quality, based on detailed independent risk assessments on both the product and the factory which manufacturers it. SolarBuyer operates globally with staffed offices in the USA, Germany, China and India as well as accredited laboratories in Germany and China. 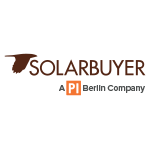 SolarBuyer is owned by the Photovoltaik-Institut Berlin (PI) from Germany. 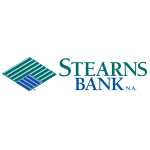 Stearns Bank, located in St. Cloud, MN, is a highly capitalized $2-billion independently owned bank, recognized nationally as a top performing bank. We are excited to be your renewable energy financing source, providing loans and leases to business owners. We’re innovators in financing and your success drives our passion. Whether you’re looking to reduce expenses or generate more revenue, we help you find a way to Get The Job Done! With urgency and single-minded focus on your cash flow and bottom line, we deliver. Simply put, we’re the bank you can’t live without! 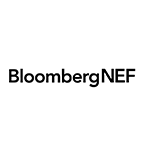 Bloomberg New Energy Finance (BNEF) provides unique analysis, tools and data for decision makers driving change in the energy system. BNEF has 200 staff based in 14 offices around the world. BNEF’s sectoral products provide financial, economic and policy analysis, as well as news and the world’s most comprehensive database of assets, investments, companies and equipment in the clean energy space. BNEF’s regional products provide a comprehensive view on the transformation of the energy system by region. 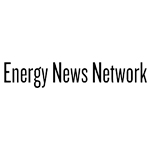 The Energy News Network is a nonprofit news site dedicated to keeping stakeholders, policymakers, and citizens informed of the important changes taking place in the transition to a clean energy system. Launched in 2010 as Midwest Energy News, the Energy News Network now offers four regional services with plans to add two more in 2019. Southeast Energy News began in 2015, and Southwest and Northeast Energy News were added in 2018.
pv magazine, of which pv-magazine.com is the online presence, is a monthly trade publication launched for the international photovoltaics (PV) community in the summer of 2008. The current print run, based on qualified circulation, is 34,201. 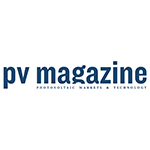 With its independent, technology-focused reporting, pv magazine concentrates on covering the latest PV news, topical technological trends and the worldwide market. Utility Dive covers industry news and provides original analysis on the latest happenings in utility and energy. Their mission is to provide busy executives with a bird’s-eye-view of the utilities industry in 60 seconds. With a mobile-optimized daily email newsletter, website, and app, Utility Dive keeps you informed on the go. 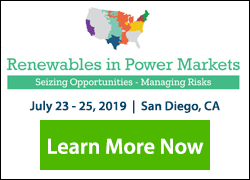 You’ll get coverage of topics such as smart grid, energy efficiency, regulation and policy, grid security, distributed generation, renewable energy, and more.